Founded on campus in 1988, the Hampden-Sydney Fly-Fishing Club aims to promote, teach, preserve, and enjoy the sport of fly-fishing. 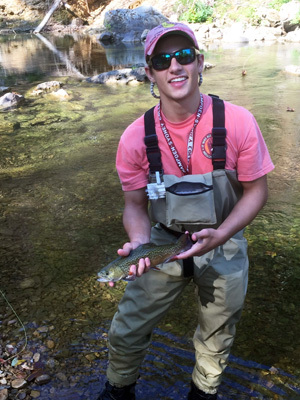 Among the countless hobbies popular to Hampden-Sydney students, sportsmanship and the outdoors emerge as perennial themes. 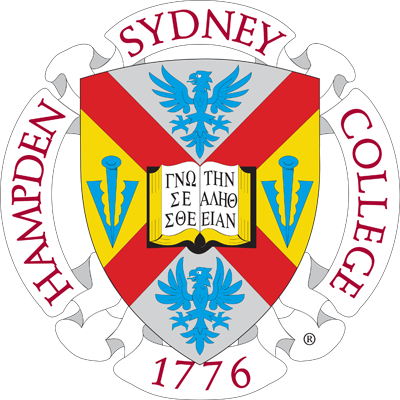 Founded on campus in 1988, the Hampden-Sydney Fly-Fishing Club aims to promote, teach, preserve, and enjoy the sport of fly-fishing. It's no surprise that the club has been on campus for almost three decades, as Hampden-Sydney men have a long history as avid outdoorsmen. In the last few years, though, the club's size has increased to over 30 members. Now meeting weekly, the Fly-Fishing Club gives students an excellent opportunity to get involved on campus and take advantage of the spring weather. This semester, the club is averaging around two trips per month. Most of the trips are funded by the club's annual allocations, and the trips are meant to give members a day - or sometimes two - to leave campus and target Virginia's freshwater fish in a relaxing way. Some common fishing destinations include the Rapidan River in Syria, Virginia, as well as various Shenandoah streams and Escatawba Farms, a fly-fishing destination in the western mountains of Virginia. "We mostly try to go to the kinds of places where we can fish the entire day and not be around a ton of people," says club president Dylan Bomeisler '18. Club trips aren't reserved for simply catching fish, though. Bomeisler explains, "We are a Five Rivers Club, which means we're affiliated with Trout Unlimited, and we've done a lot with Project Healing Waters in the past. We plan to volunteer at a benefit tournament soon." Members also participate in frequent stream clean-ups, with one such trip to the Rapidan in the works. Trout Unlimited is a non-profit organization with the mission "to conserve, protect and restore North America's cold-water fisheries and their watersheds." Project Healing Waters, by the same token, is "dedicated to the physical and emotional rehabilitation of disabled active military service personnel and disabled veterans through fly fishing and associated activities including education and outings." 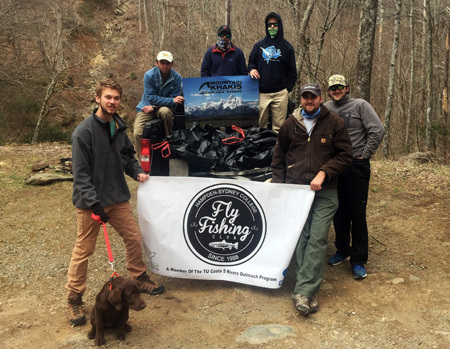 Through the shared love of fly-fishing, H-SC club members are part of the effort to bring wounded veterans back to their streams when they wouldn't originally have been able to do so. Students interested in fly-fishing but lacking prior experience should not be deterred bv the steep price of most fly-fishing gear. The club recently purchased plenty of club gear including rods, reels, waders, and tackle. Members are welcome to use any of the gear while they learn, free of charge. In the College's mission to form good men and good citizens, it is no surprise that the Fly-Fishing Club has been so successful. For $40 per semester or $70 per year, members enjoy not only the fun of catching fish on the fly, but also an opportunity to serve others in the process.